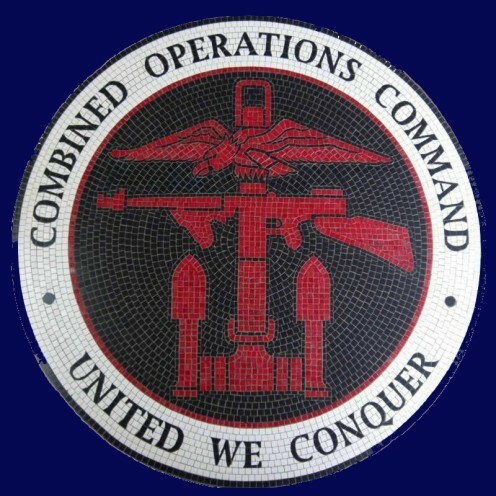 Below are links to web pages with strong USA connections to Combined Operations. Information about the memorial, including its location in the grounds of the National Memorial Arboretum in Staffordshire. The memorial embraces all the Allied nations whose service men and women served in or alongside Combined Operations, or were trained by them in amphibious warfare. D Day, June 6 1944. Operations Neptune and Overlord were the culmination of years of planning and training by Combined Operation planners and others, notably the USA. Operation Torch, the invasion of North Africa. Churchill and his military advisers where concerned to remove the Vichy French authorities from the territories they controlled on the North African coast, before they fell into German hands. Torch was an American led operation under Eisenhower, with substantial UK support. The story of a United States Landing Ship Tank and a crew member. A first hand account of the use and deployment of United States Landing Craft Tank (Rocket) vessels in WW2 as told by a Group Commander. These craft were most effective in launching hundreds of explosive projectiles onto enemy held beaches just minutes ahead of Allied troops landing. Timing and accuracy were of the essence. This is an account of WW2 United States Landing Craft Tank (Rocket) 439 - USLCT(R) 439. This specialized landing craft carried 2896 5" x 4' explosive rockets (127mm x 1.2m) designed to soften up enemy coastal defensive positions immediately prior to the landing of the initial assault troops. US LCI(L) 502 carried 196 Officers an men of the Durham Light Infantry to Gold Beach on the wild and windy morning of June 6th 1944. This account is based on the writings and recollections of John P Cummer and information from the craft's Deck Log. How the war of 20 year old USA citizen G W McCurdy was changed by a late night in a Belfast city pub! The Disaster in Lyme Bay on the south coast of England. A pre D-Day landing craft training exercise which was to culminate in the loss of 749 American lives.